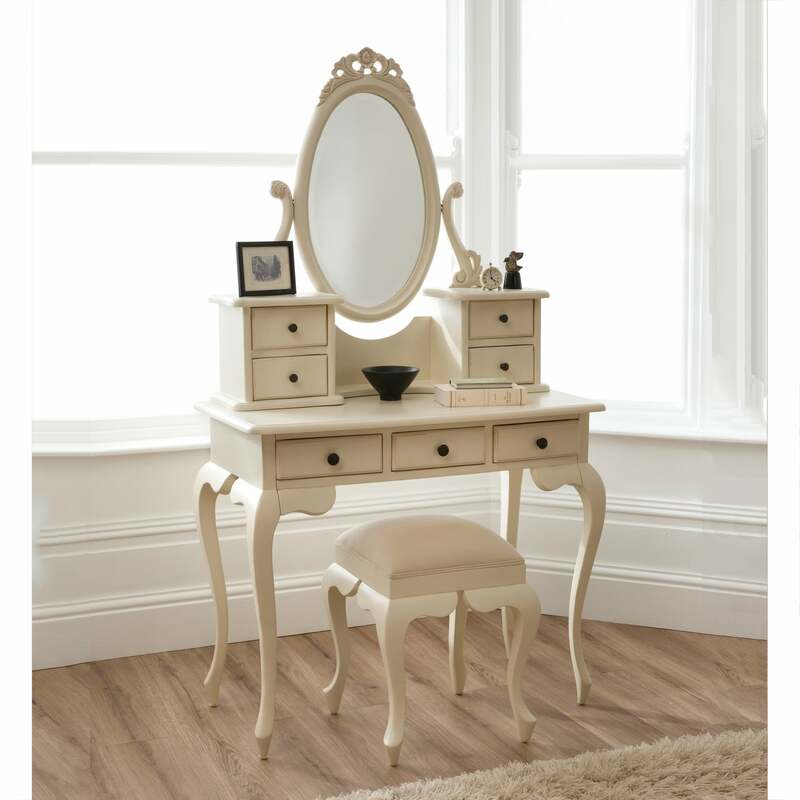 As the pictures here of the Bordeaux shabby chic Dressing Table show, the Bordeaux collection is finished with a subtle distressed ivory paint, giving off a vibe of wonderful exuberance in your bedroom. These qualities resonate and make the Bordeaux Antique French Dressing Table and the Bordeaux collection as a whole one of the most popular bedroom collections. Expertly hand crafted and carved from high quality mahogany, both the attention to detail on the magnificent features and the overall caliber of the Bordeaux collection is of the highest order. These qualities resonate and make the Bordeaux Antique French Dressing Table Stool and the Bordeaux collection as a whole one of the most popular bedroom collections.